In the present times, loan modification has become quite popular amongst the borrowers. In the present times, loan modification has become quite popular amongst the borrowers. 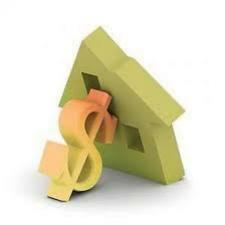 With the help of a loan modification program, the lender will change the terms of your mortgage payment. Thus, it will make your payments more affordable and help you avoid foreclosure. To give you an affordable payment plan, the lender will reduce the interest rate on your mortgage, increase your loan term or lower the principal amount. At times, the lender may use a combination of these methods. Contact the lender: If you want to go for a loan modification, you don't need to take help of a third party. You should directly contact your lender and negotiate for it. Write a hardship letter: In order to apply for loan modification, you will have to write a hardship letter to the lender mentioning the reasons for such an application. Submit required documents: When you apply for loan modification, you should submit documents like W-2, tax documents, bank statements as well as your pay-stubs. 1. You should have a steady income. 2. Your home should be in good condition. 3. You should have taken out the mortgage about a year ago. 4. You should be around 3 months past due on your loan payments. When you're facing foreclosure and want to save your property, you can apply for loan modification with your lender. However, you should note that if you default on your mortgage payments after modification, the chances for foreclosure will drastically increase.